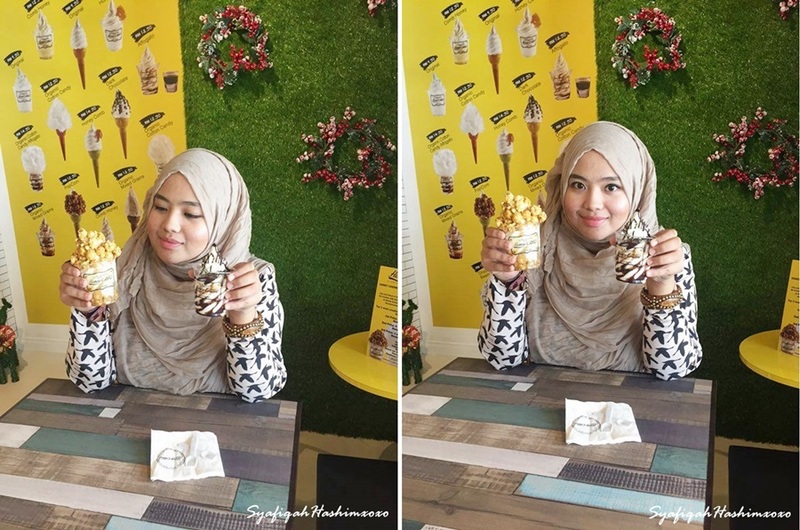 Last Wednesday (23rd Dec 2015) I try this new premium organic soft-serve ice-cream from Honey Creme! 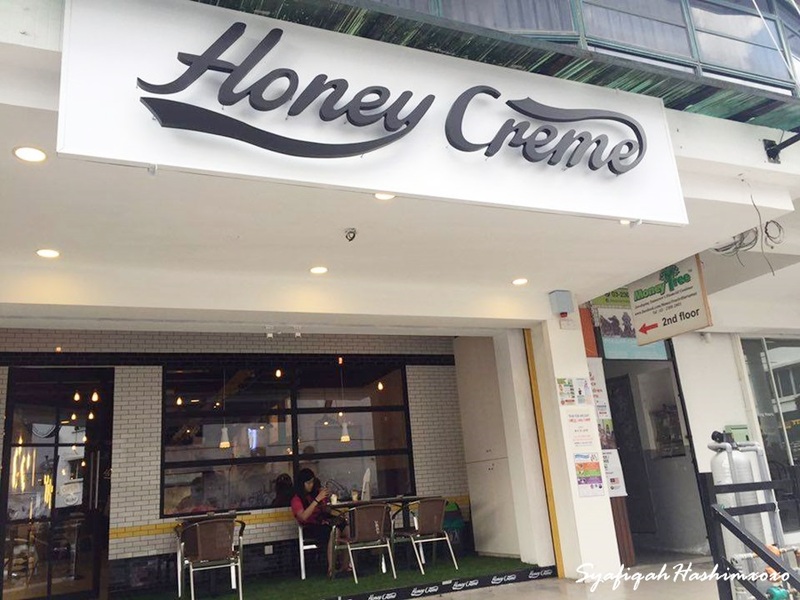 Honey Creme is actually a korean-style ice-cream and you don't have to bother to go to Korea to get this ice-cream because it is now available in Malaysia. 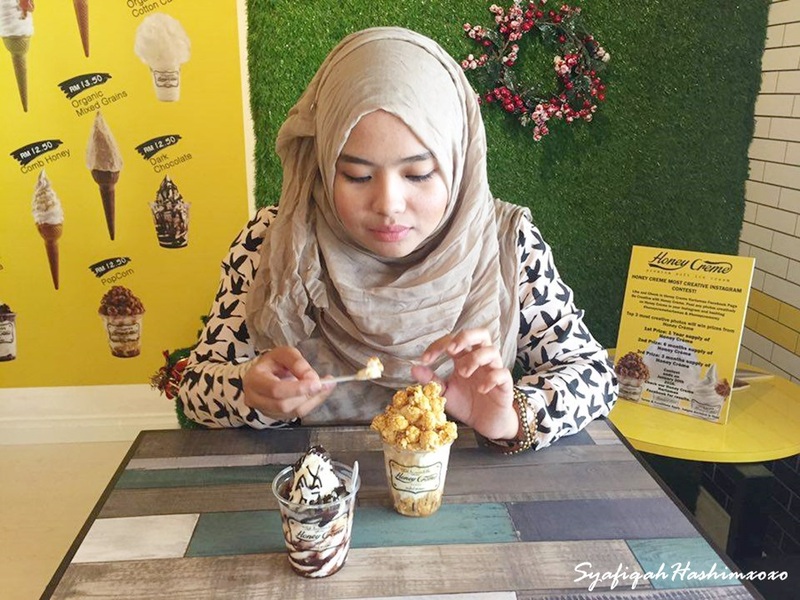 This ice-cream basically more for healthy ingredient content and nutritional toppings on it. 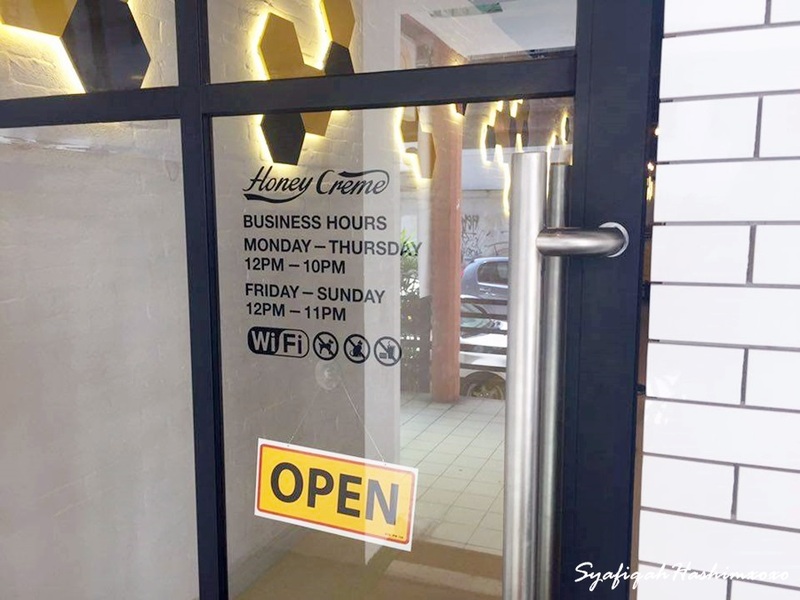 They have raw honeycomb which is the best seller and I regret not to try it! Errr~ they also have dark chocolate, popcorns, affogato, organic mixed grains and cotton candy! 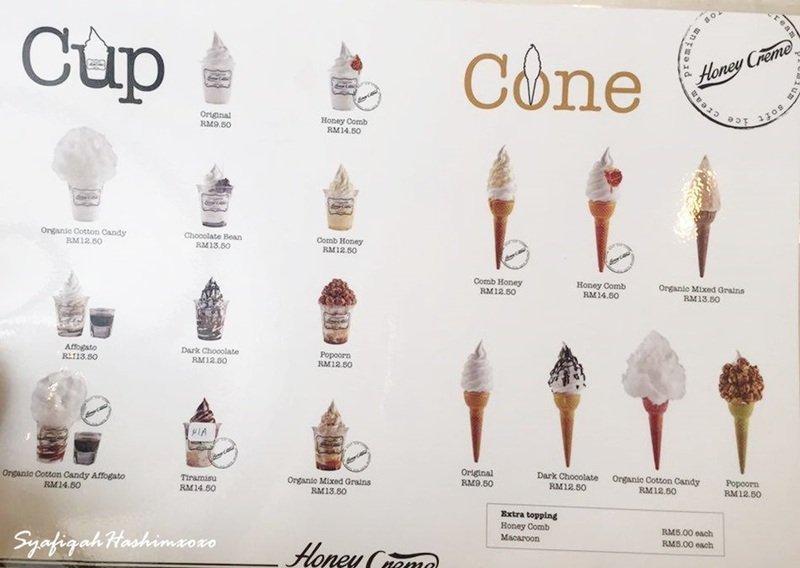 YUMSSS.. You can choose either to eat the ice-cream in a cup or cone. The cone also made-up wit organic ingredients and come with colorful types. That day, I tried 2 different ice-cream that is Dark Chocolate and Popcorns. 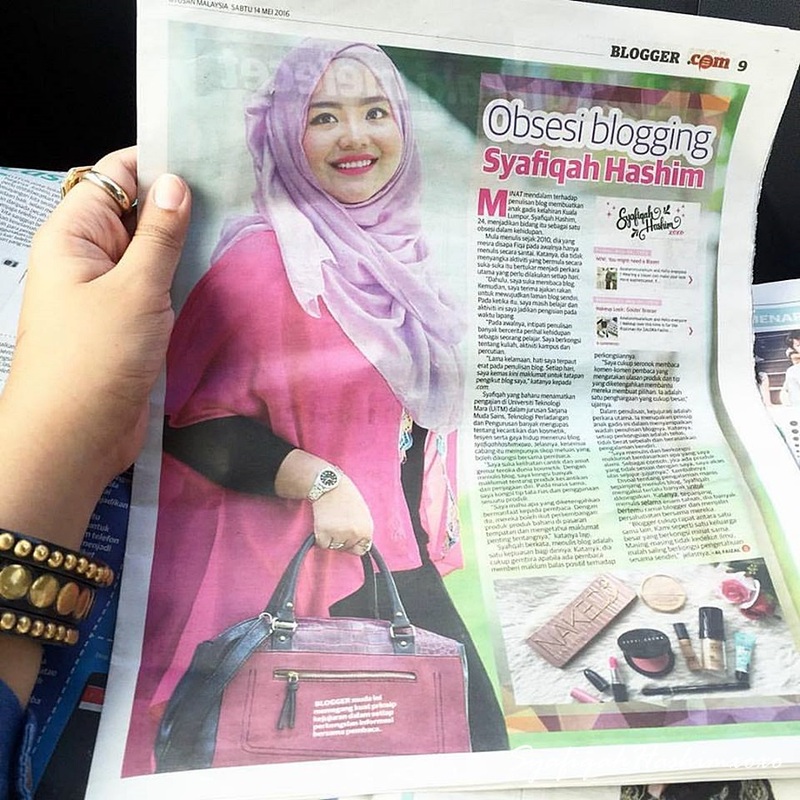 This most chosen as well, I love it. It come with two premium dark chocolates selected for the base and the crispy crunch. It sparkled with Italian pink rock salt on top to enhancing the sweet taste. *recommended. 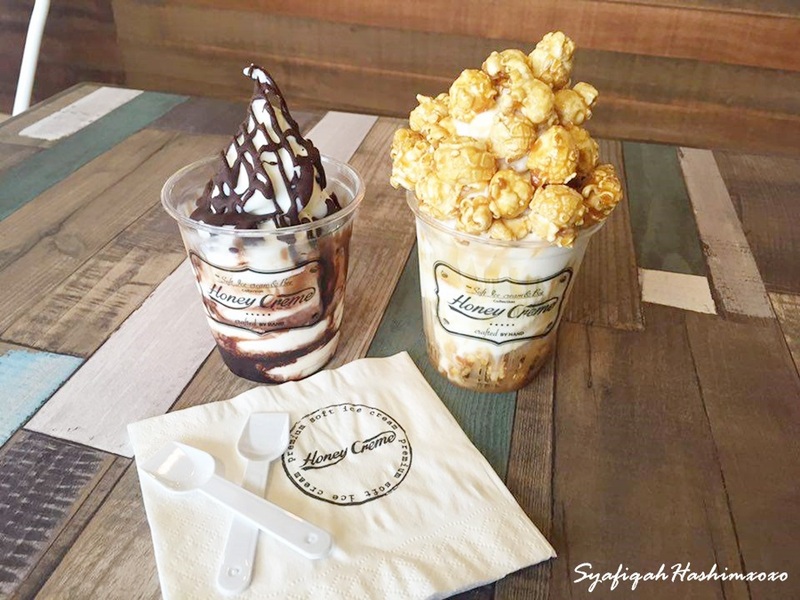 The soft serve ice-cream is topped with caramel popcorns that imported from USA. I can feel the popcorns a really different compare to any other regular popcorns. 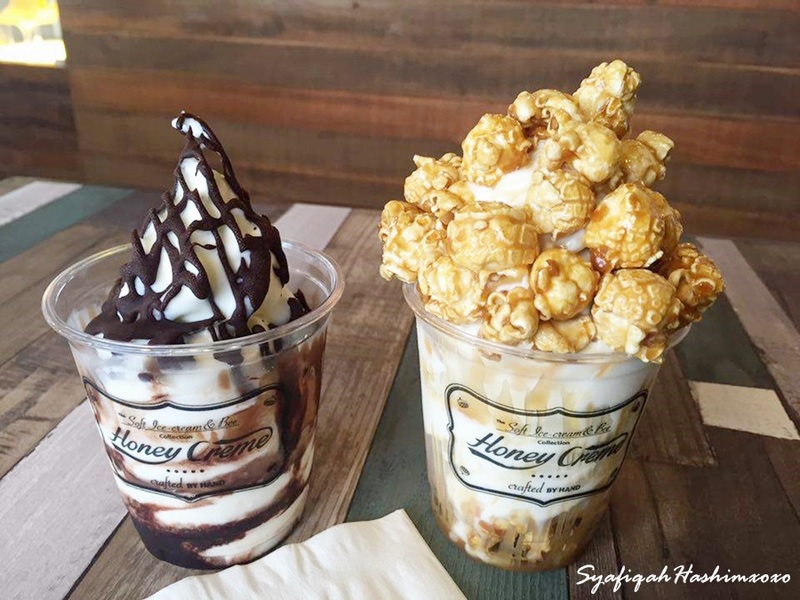 When the crispy and crunchy caramel popcorns synthesize with the original soft serve ice-cream, you will experience an immaculate taste of joy in this ice-cream. I'm totally loving it. The ice-cream it self already delicious and imagine when it come with caramel popcorns. UWAHHH~ *recommended. 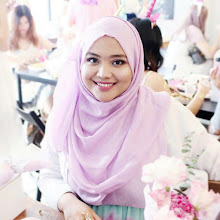 and Walahhh~ Hasil nya sungguh menyelera kan! Overall I like it. The ice-cream was amazing. Next time I will come with my girlssss. YUMSS.. 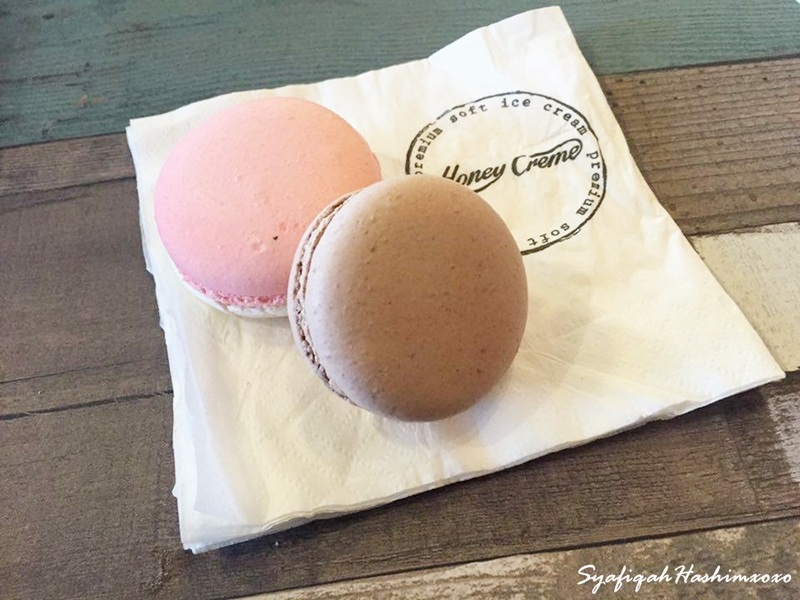 I also try the macaroon. It come with several flavor and that day I try chocolate and berry with marshmallow. If you ask me, I will say better stick with their ice-cream much more worth. NGEEE..
You should try the Cotton Candy Affogato one! It is really good.